CAISEY QUINN HAS EXCITING NEWS! 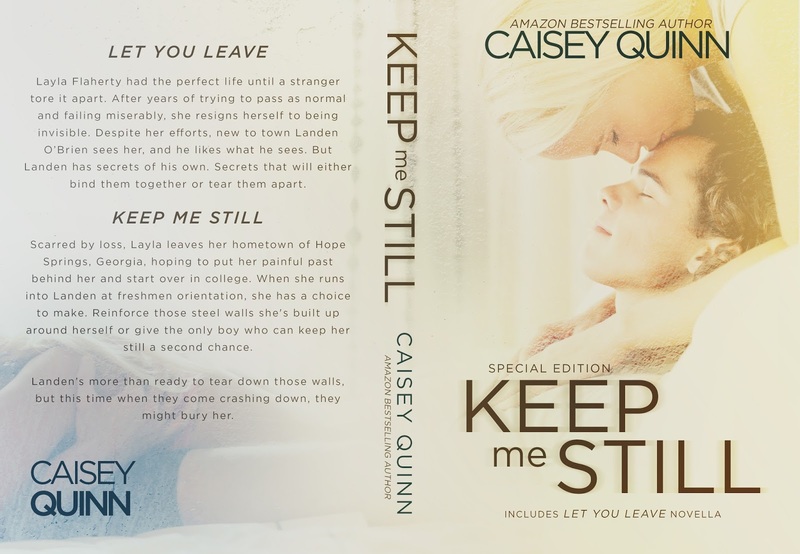 In honor of her nephew (who also happens to share a name with her main character) being born early, she's releasing a special edition of her novel Keep Me Still! The special edition will include the novella Let You Leave which will no longer be available after this edition goes off sale! So when can you get a copy of this special edition of Keep Me Still? “Tell me what you want,” I demand, pulling her two wrists into one of my hands. I lift them above her head so I can feel her body on mine without our hands in the way. Her little pink tongue swipes her lips, coming so close to my own I can practically taste her, and I nearly come undone right then and there. “You should kiss me.” I move in closer, but only a tiny bit. “And why would I do that?” Her voice is so low I have to lean in to hear her clearly. “Because you want to. Because I’ve been waiting for a very long time. Because you can.” Her words fill me with heat and need. I want so much more than to kiss her. But I’m not going to get greedy here and risk losing her all over again. My plan to make her jealous earlier was just a ploy to get her to admit she still wants me because I still want her. I’m pretty positive I’ll always want her. So now this has to be the best damn kiss two people ever shared in the history of kissing because I need her to want it again and again. Tension builds in my chest at the thought of finally kissing Layla Flaherty, and I’m a little afraid of screwing up her first kiss. But I owe it to her. It should’ve happened a long time ago. “Here? Is this where you want me to kiss you?” Her breath comes in quick gasps, and she shakes her head no. So I let my lips skim the side of her face and holy hell, she even tastes like peaches. And I should definitely not be thinking about tasting her, but a torrent of images unleashes itself. I know I’m gripping her too hard, but she doesn’t complain. I press myself against her and place a chaste kiss on her cheek. “Here?” I ask, doing my best to feign innocence. “Uh uh,” she groans, and I brush my face against hers until our lips are touching. “Here?” “Yes, please,” she says against my mouth, and I try to take it slow, I really do. But when her lips part, opening her to me, I’m done being gentle. My tongue sweeps inside, desperate for hers. She’s tentative at first. Barely skimming her tongue against mine with sweet little licks. But I press harder and she matches me. Layla lets her teeth graze my lower lip and I groan. I release her wrists and she wraps her arms around my neck, raking her hands into my hair. Keeping my hand out from under her short dress is an exercise in torture. My body aches for release, but this is her first kiss. We have to stop here. For now. .
Caisey Quinn is the bestselling author of the Kylie Ryans series. 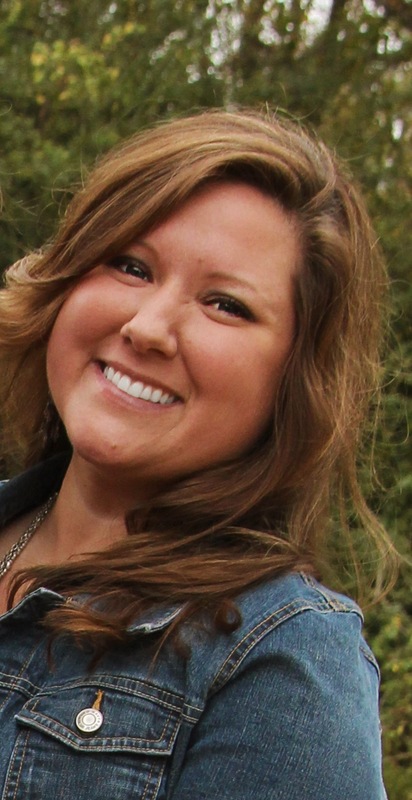 She lives with her husband, daughter, and other assorted animals in Birmingham, Alabama. She wears cowgirl boots most of the time, even to church. You can find her online at http://www.caiseyquinnwrites.com or as @CaiseyQuinn on Twitter, where she spends entirely too much time chatting with readers, authors, and anyone who’s willing.